Get a large bowl, combine butter and vegetable oil spread; beat with an electric mixer on medium to high speed for 30 seconds. Add brown sugar/sugar substitute, ginger, baking soda, cinnamon, salt, and cloves. Beat in molasses and egg. Add all-purpose flour and whole wheat flour. Divide dough in half. Cover and chill the dough for 2/3 hours. Preheat oven to 190 degrees. Lightly grease cookie sheets. On a lightly floured surface, roll dough, half at a time, to 1/8-inch thickness. 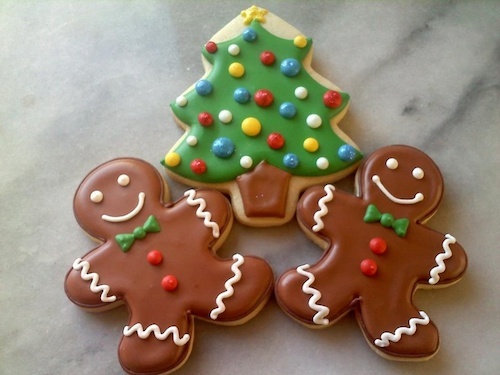 Using a 2- to 3-inch gingerbread person cookie cutter, cut out shapes. Place cutouts 1 inch apart on prepared cookie sheets. Bake for 4 to 6 minutes or until edges are firm and centers are set. Cool on cookie sheets on wire racks for 1 minute. Preheat oven to 170 degrees. For pastry dough, in a large bowl, combine vegetable oil spread, cream cheese, brown sugar/Sugar Substitute, and cocoa powder; beat with an electric mixer on medium speed until well mixed. Stir in flour. Press a rounded teaspoon of the pastry dough evenly into the bottom and up the side of each of 24 ungreased 1-3/4-inch muffin cups. Bake about 15 minutes or until pastry is dry, evenly coloured, and set. Cool pastry in muffin cups on a wire rack for 5 minutes. Carefully transfer pastry cups to a wire rack to cool completely. Meanwhile, in a medium bowl, combine pudding mix, milk, and almond extract. Whisk for 1 minute. Cover and chill about 5 minutes or until mixture sets up slightly. Transfer half of the mixture to an airtight container and refrigerate for another use. Fold dried cherries into the remaining mixture. Generously spoon or pipe cherry-pudding mixture into cooled pastry cups. 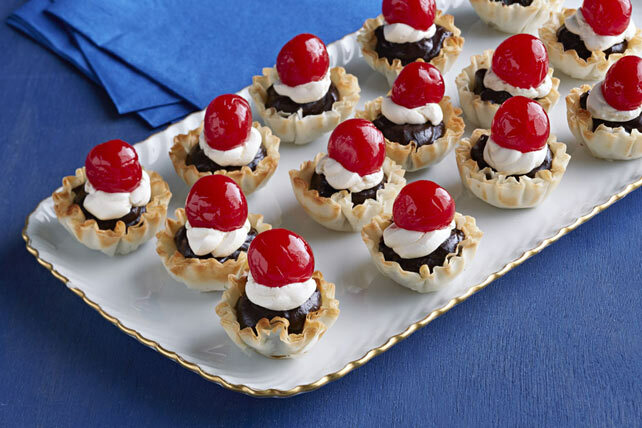 To serve, top each tartlet with a tart cherry. *Sugar Substitutes: Choose from Sweet 'N Low® Brown or Sugar Twin®Granulated Brown. Follow package directions to use product amount equivalent to 2 tablespoons brown sugar. *Sugar Substitutes: PER SERVING WITH SUBSTITUTE: same as above, except 181 cal., 19 g carb., 196 mg sodium. Exchanges: 1 other carbohydrate. Carb choices: 1. Hope you enjoy your delicious sugar-free recipes!